The Open Mind Center’s Teacher Training Program opens the doors for practitioners to find their own unique way to share the beautiful and ancient practice of Yoga with confidence and inspiration. Preregistration is also required by Saturday, October 13, 2018. A $500 deposit is due at time of registration and remaining balance is due by the start of class on Saturday, October 20, 2018. Instructor:Jody began her yoga journey looking to resolve pain from many years of running. After her first yoga class she immediately connected to the physical, emotional, and spiritual healing that yoga brings. 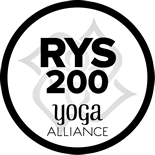 She has completed her therapeutically-oriented RYT500 training and is dedicated to helping others find a yoga practice that meets them where they are right now, celebrating what they can do regardless of their physical, emotional, and spiritual challenges. Jody volunteers at the Shepherd Spinal Center and is also a Reiki Practitioner. If you are considering signing up for Yoga Teacher Training, please consider attending one of Jody’s yoga classes on Wednesdays or Saturdays (see website for times and styles) to talk with her or attend one of the Q & A dates below. We will host open houses for Q & A prior to the pre-registration dates.